Shade garden plants will provide color and lush foliage even in the darkest corner of your backyard. 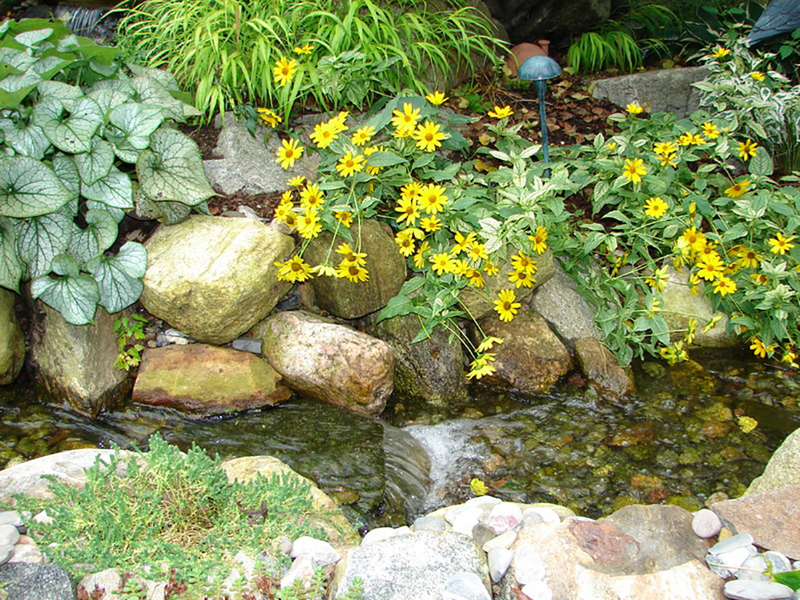 Instead of trying to force full sun plants or a full lawn into a low light area, focus on flowering shrubs, moss, ferns and perennials that thrive with little to no sunlight. From ground cover to shrubs, we have some shade garden plant suggestions for you. Moss is a plant that naturally thrives in shady spots. A couple of bonus points, there is no need to fertilize or use pesticide on moss and there is no mowing involved. It is very low maintenance ground cover and forms a nice green carpet that survives winter climates. Some moss varieties can take moderate foot traffic, but they are soft, easy plants for the spot where nothing else will thrive. There are several types of flowering ground cover that grow in a shade garden. These plants will spread out, meaning their roots will send out runners and shoots and they will continue to fill an area. Ferns add great foliage to a shade garden. They are a nice, textural layer and mix well with other variegated plant varieties. The Christmas Fern has big “fluffy” plumes. The base of a tree can have somewhat arid soil and plenty of tree roots, so it is best to choose plants that spread nicely and develop deep roots for a water supply. Both English Ivy and Japanese Pachysandra work well in dryer shade areas. To create visual interest in a shade garden, pick plants with variegated leaves or plants with unusual shaped leaves or textures. 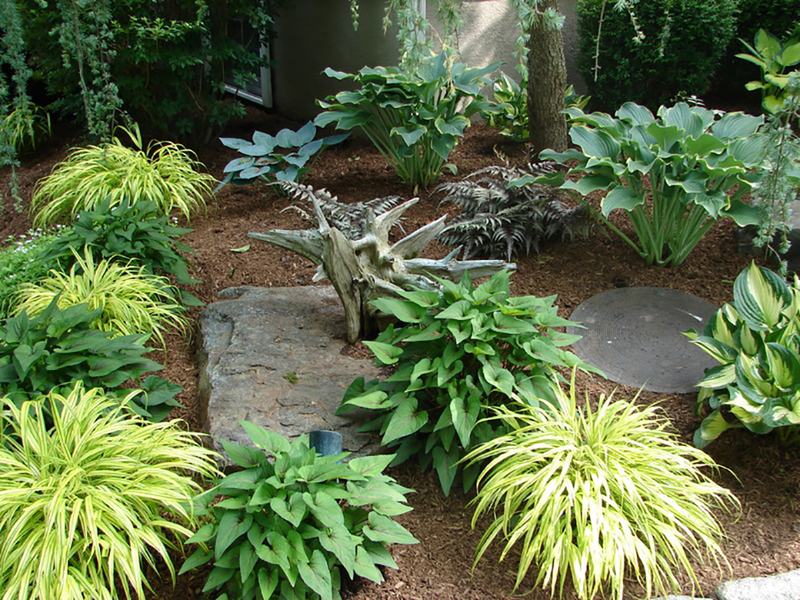 Hostas come in a variety of textures, colors, patterns and sizes so they are always a great choice. One thing a shade garden will never be is boring! 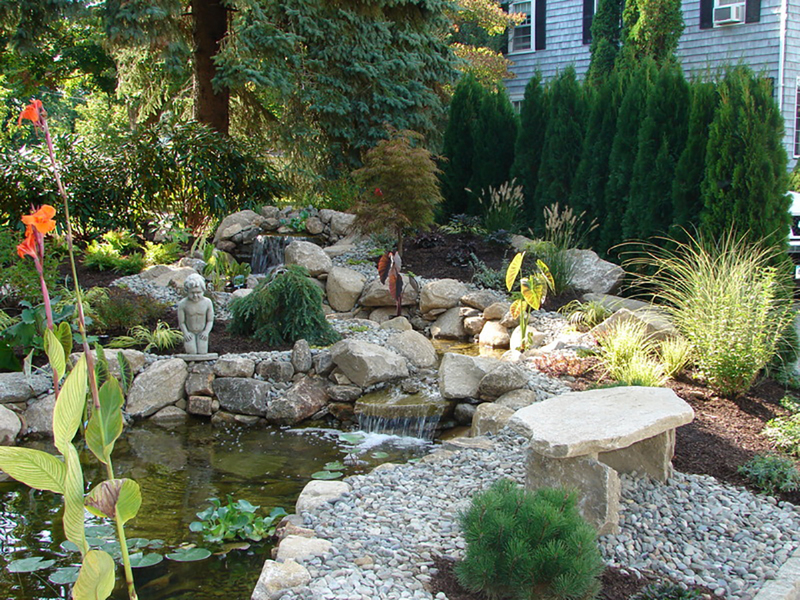 By using different types of plants, pathways, the base of trees and the entire shade garden area will be filled with color, texture and different sizes of foliage to create lots of visual interest.